Cardboard cover over plastic jewel case with liner notes insert. Vinyl record comes in a single cardboard sleeve. Only includes track 2 & 3. 2. Spartan, Before It Hit - 22:10. 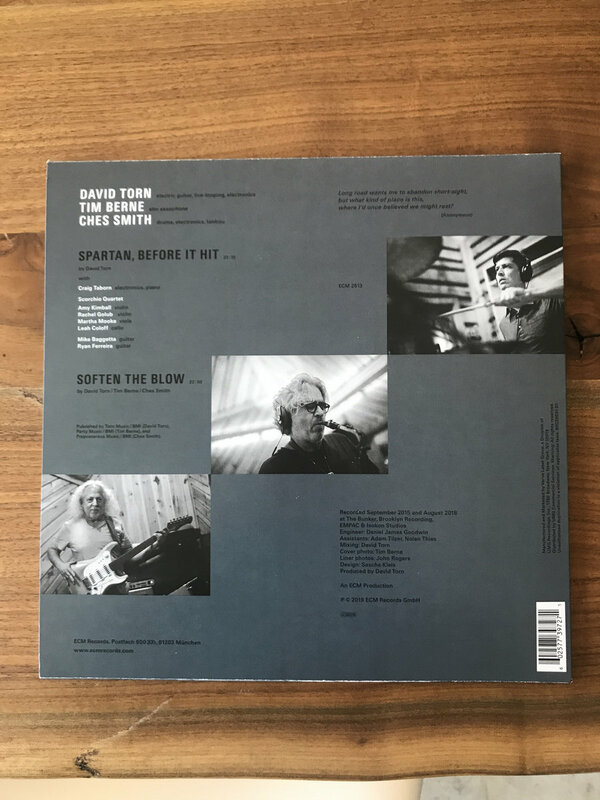 By David Torn with Craig Taborn - electronics, piano. Scorchio Quartet: Amy Kimball - violin, Rachel Golub - violin, Martha Mooke - viola, Leah Coloff - cello, Mike Baggetta - guitar, Ryan Ferreira - guitar. Published by Torn Music / BMI (David Torn), Party Music / BMI (Tim Berne), and Preposterous Music / BMI (Ches Smith). 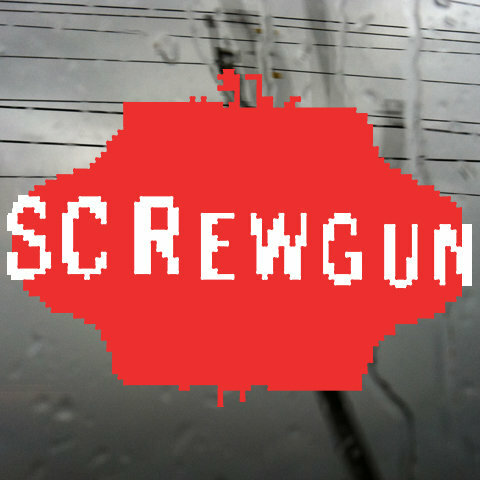 Recorded September 2015 and August 2018 at The Bunker, Brooklyn Recording, EMPAC & Isokon Studios. Engineer: Daniel James Goodwin. Assistants: Adam Tilzer, Nolan Thies. Mixing David Torn. 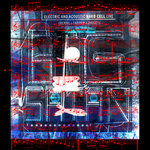 Cover Photo: Tim Berne. Liner Photos: Robert Lewis. Design: Sascha Kleis. Produced by David Torn. 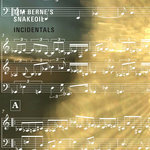 Guitarist-composer David Torn, a longstanding ECM artist, has enjoyed a particularly fruitful 21st-century with the label, releasing two albums under his own name the solo only sky and quartet disc prezens in addition to producing widely lauded records by Tim Berne and Michael Formanek. 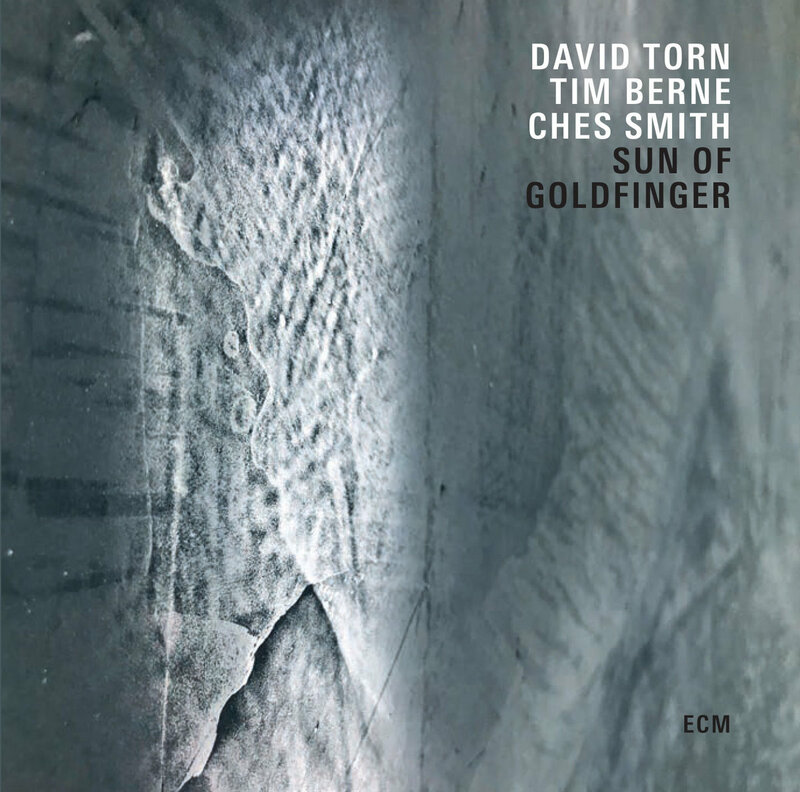 With Sun of Goldfinger, Torn returns in a trio alongside the alto saxophonist Berne and percussionist Ches Smith (a member of Berne's Snakeoil band who made his ECM leader debut in 2016 with The Bell). 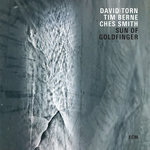 The Torn/Berne/Smith trio, also dubbed Sun of Goldfinger, features alone on two of this album's three intense tracks of 20-plus minutes; the vast sonic tapestries of "Eye Meddle" and "Soften the Blow" each spontaneous group compositions belie the fact that only a trio is weaving them, with live electronics by Torn and Smith expanding the aural envelope. 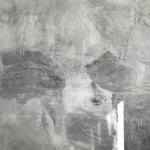 The third track, the Torn composition Spartan, "Before It Hit," showcases an extended ensemble with two extra guitars, keyboards and a string quartet; it s an otherworldly creation, ranging from hovering atmospherics to dark-hued lyricism to storming, sky-rending grandeur. 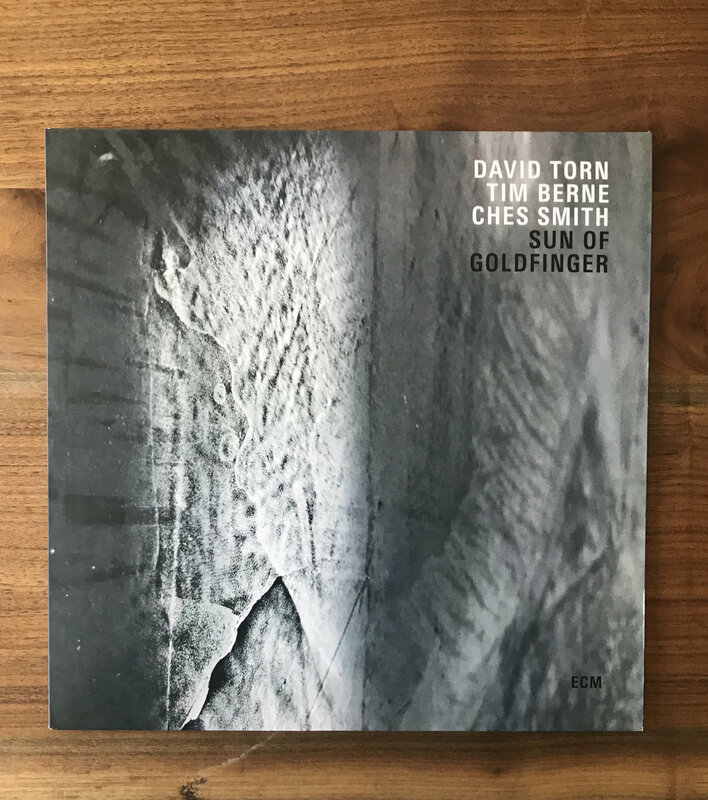 The words of LondonJazz, reviewing Sun of Goldfinger live, also suit the band s debut on record: "This is dangerous music at times angry, at others blissed-out and illuminating with its thunderous rumblings... delivering not so much a wash of sound, more a tidal wave."